Since I opened, after years of resistance, a Facebook account, I have been able to reconnect to part of my old friends from Lima. 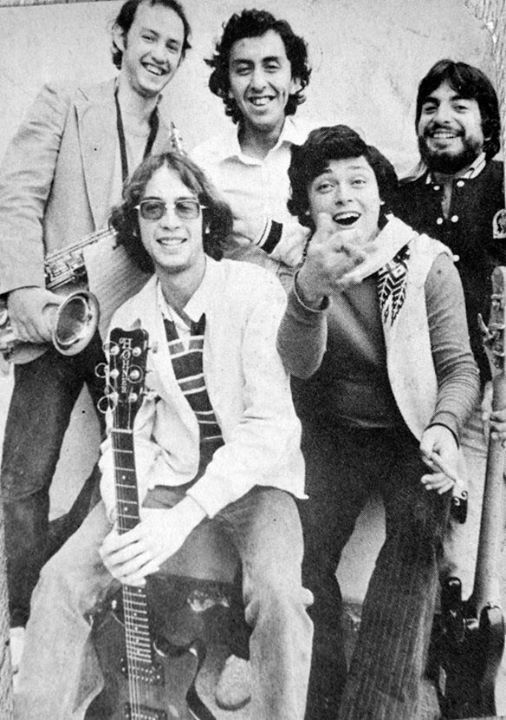 And I have been lucky to find this old picture of the jazz-fusion band Camaleon (Chameleon) that we formed years and years ago. I actually have many old pictures in a depot in PA, but I am not sure when I will get a hold of those. This picture is among those. This picture probably dates from 1981-1982. From left to right in the back you see Manuel Miranda, Alberto “Chino” Chong and Eduardo Freire. The one in front with the guitar is me, and next to me is Luchito Guimet.